After doing graduate study that concentrated on the underside of US history, George LoBuono reported for the Suttertown News in Sacramento, then covered the 1993 presidential elections in Indonesia for Pacifica radio network and investigated deep politics and crime within black budget agencies. In 1995, he began to research alien-related programs in the US government. He has worked on several political campaigns and has done activist work on anti-nuclear and peace/justice issues. He writes on various topics and serves as a board member of the Coalition of Concerned Legal Professionals, a free legal clinic in Sacramento, CA. The US government’s first direct, face-to-face contact with aliens occurred decades ago, when grayish skinned human-alien hybrids crashed near a New Mexico airbase. After the US military concluded that the aliens probably had some human genetic composition in them, US officials scrambled to develop safeguards against a stealth intervention on this planet by aliens of unknown origin. The intrusion of aliens with advanced technology and capabilities occurred at the outset of the Cold War, which compelled Truman’s government to guard information about aliens as a military secret. For over four years, Truman had direct control of the US government’s alien-related programs. However, in 1953 President Eisenhower let Nelson Rockefeller re-design executive security structures. Rockefeller ended elected official control of alien-related programs, a move that Eisenhower later regretted. Multiple former official witnesses say that within months, aliens were allowed basing rights on the Nellis Air Force range. Subsequent secrecy of alien-related programs allowed crime to proliferate within them, unchecked by rigorous public oversight. As a result, early human relations with aliens were largely determined by the Roswell Grays’ alignment of aliens, rather than humans. Questions were raised about the intentions and material ambitions of such aliens. Under the circumstances, the situation could only be corrected through exposure and independent human investigation of aliens and alien interactions. Early human contacts with aliens tended to be very one-sided. Using advanced science and technology, aliens chose the terms of the interactions and were able to limit and control information flow. Humans couldn’t understand what was happening, let alone compete with aliens. Lacking adequate science, humans tended to think that alien contact was a revelation from God, a strange angelic kind of interaction. But when live, in-the-flesh aliens fell out of the sky near a US nuclear bomber base, things began to change. In 1947 the bodies of four short, Gray-skinned aliens and their wing-shaped craft were recovered near Roswell, NM by the US military and were kept for scientific study.1 A fifth alien reportedly survived and later communicated - telepathically - with military investigators.2 Stunned by the appearance of aliens who had advanced knowledge about human affairs, the Army worked overtime to study the Roswell aliens and their science. Just two years after Hiroshima, US officials feared the aliens might be hostile or have designs on this planet. So, discussion about aliens proceeded in extreme secrecy. Corso wasn’t the only witness to Roswell aliens. Dozens of first-hand witnesses, including military brass, have admitted that they saw dead and wounded aliens or the alien craft that crashed near Roswell. Under the circumstances, strict defense considerations were understandable. Soon, the secret programs were rife with corruption, and some potential whistleblowers were reportedly murdered before they could speak. Although we now know more about aliens due to reports by direct witnesses, in 1947 - just two years after Hiroshima, fear and defensiveness were the order of the day. It wasn’t a hostile assumption. Instead, the incursion of alien technology that humans couldn’t match caused fear and wariness in the US government. To have manufactured and serviced alien vehicles would have required a large, possibly burgeoning industrial structure. That meant mining and the use of non- renewable materials, security to prevent potentially competing aliens from taking their resources, and a large, possibly repressive government. But wherever they came from, whatever their intentions, aliens had arrived and they knew more about humans than humans knew about them. 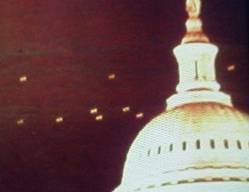 In a preliminary analysis, Army Gen. Nathan Twining showed President Truman detailed photos and told him about the strange alien technology. Army scientists couldn’t find an engine or power unit in the Roswell alien craft. In other words, aliens had created what appeared to be human-alien hybrids. Had they made others that looked more human, and if so, what were the aliens planning to do with such hybrids? That first, unexpected contact provoked a major crisis in US government. Aliens were directly intervening in human affairs, buzzing a nuclear bomber base and either taking humans or human reproductive material to create human-alien hybrids. They hadn’t asked permission. Instead, they were trying to hide it all. According to Col. Corso, who said he worked on a Pentagon plan to copy technology from the Roswell wreckage, Pentagon officials grew more concerned about an alien incursion than they feared the threat of the Soviet Union. Corso wrote that part of the reason for a nuclear weapons buildup in subsequent years was to amass the ability to defeat an alien landing and occupation scenario. Less than a month after Roswell, the National Security Act of 1947 was written. It separated the Air Force from the Army and created both the CIA and a National Security Council. Legislators were told the CIA would protect the nation, but they didn’t anticipate the danger of unaccountable power, at the time. Although Congress was supposed to approve overall budgets for the CIA and the NSA, which was created on Nov. 4, 1952, the new agencies had secret budgets and owned businesses that operated without legislative control. As had happened under monarchies of the past, corruption began to threaten the rule of law in the United States. Truman set up a working group to maintain secrecy and supervise study of the Roswell artifacts. It was a reasonable policy, given the fact that advanced alien technology had recently dropped out of the sky near the only nuclear bomber base on US soil. The president would monitor the project, and the public would gradually be allowed to learn about it. 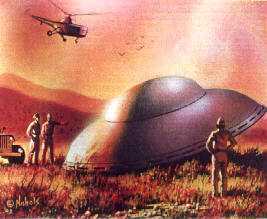 Direct, face-to-face contact with aliens near Roswell led to a defensive mobilization and at least some sub-rosa skirmishes with aliens. As a result, the US military worked to reverse-engineer alien technology in order to be able to match it. Leading scientists were allowed to analyze the Roswell artifacts if they swore to secrecy. Their early analyses were impressive. They suggested that the Roswell craft used a kind of Tesla technology featuring something like the Biefeld-Brown effect, which had been discovered decades earlier.9 Early findings were only preliminary, but continued research led to the use and misuse of strange, new technologies. Given that the Roswell craft had crashed while buzzing the sole US nuclear bomber base, human use of alien technology for weapons purposes may have provided a convenient excuse for more aggressive intervention, here, by the Roswell Grays’ larger alignment of aliens. If Gray-hybrid aliens had been buzzing the Roswell air base in order to monitor nuclear weapons staging, their loss of greatly more advanced technology near the base would have been a major concern. Given their ability to monitor human governments, did they do anything to influence the human response to technology that might change the course of human history? There’s evidence to suggest they did. Their appearance may have been meant as a message to Truman that US security policy, post-Roswell, was considered inimical to such aliens. And what had those same aliens been doing during the five long years from 1947 until 1952, when Truman sat, wondering, in the White House while an alien squadron buzzed the nation’s capital? Given their penchant for intervention, wouldn’t they have tried to limit human reaction to their incursion, and, if necessary, prevent further disclosure until some future time when they could complete their mission on terms that were more favorable to them? According to military whistleblowers like Philip Corso and William Cooper, the Roswell Grays’ alignment tried to get the US government to permit their intervention here, but the US military felt they were too aggressive and intrusive to be trusted. That didn’t stop the aliens. The Special Studies Group/PI-40 formed under Eisenhower held their first meetings at Quantico Marine Base in Virginia and its 35 members were drawn exclusively from the Council of Foreign Relations. The Study Group had two directors, Henry Kissinger and Zbigniew Brzezinski, and consisted of prominent individuals, including Dr Edward Teller, Paul Nitze, David Rockefeller, and McGeorge Bundy (later Kennedy’s Special Assistant for Foreign Affairs). And by building a lush retreat for the PI-40 group, Rockefellers were deepening their influence over alien-related programs. Brig. Gen. Steven Lovekin, who worked in Eisenhower’s White House, testified that Eisenhower felt betrayed.13 The president and other elected officials had been pushed aside by a family known for its investments in Nazi Germany and other brutal crimes against humanity. Nelson Rockefeller then maneuvered himself into a role as Eisenhower’s coordinator for the CIA, plus a role in a secret planning group that would attend to clandestine dirty work without letting Eisenhower know about it.14 But why were Rockefellers so eager to take control of alien issues away from US presidents, thus making subsequent human-alien interactions secret? In other words, not only had elected officials been shut out of alien-related programs; now it was a major crime to tell both legislators and the public what the government knew about aliens and their craft. It was a major coup of an unprecedented sort, and it set the stage for the most bizarre development in all of US history: direct basing of aliens on US soil. Adding to suspicions, the US government is prosecuting McKinnon for violating its secrecy. Meanwhile, McKinnon’s story is like that of Clark McClelland, who worked on NASA’s space shuttle program until 1992. Alien craft (in the background), similar in design to the Roswell aliens’ craft. How did the US go from suspecting a stealth alien colonization attempt here, to direct joint basing of such aliens on federal properties? The Rockefeller coup appears to have spearheaded the effort. The Roswell Grays’ alignment may have feared that Eisenhower, the Supreme Allied Commander during World War II, would continue direct presidential control and veto over alien-related programs. The Navy and the Army appear to have been more cautious, at that time. Some months later, President Eisenhower reportedly pretended to visit a dentist but went to Edwards Air Force base near Palm Springs, CA. A tentative agreement was reportedly signed that allowed the aliens to continue abducting and implanting humans - as long as they told the US military which humans were targeted (and the targets would have no memory of the events). Alleged high-level whistleblower Michael Wolf also mentioned the agreement. Eisenhower may have been told that if bases weren’t granted, the aliens might work with the Soviets, instead. However, unless he was pressured and deceived by men like Rockefeller, it’s hard to imagine a man like Eisenhower conceding bases to an alien occupier. Were Roswell Gray-related aliens trying to front-load early human contacts in order to either dominate or pre-empt our relations with alien neighbors? Cooper further alleged that the infiltration phase noted by Robert Dean and Col. Corso resulted in manipulation of secret societies and cults that worked against effective human government. * Cathy O’Brien’s first book expands on the subject, albeit in a different vernacular. Michael Wolf told researcher Chris Stoner that parts of a Gray alien craft that crashed in the ocean west of San Diego in 1941 were shipped to the same Indian Springs, NV air base. Charles Hall published four books about his encounters with the Tall Whites from 1965-1967, when he was stationed at Indian Springs. According to the MeasuringWorth website calculator, $300 million in 1951 was equivalent to $2.4 billion in 2008. The question is, why would a small, diversionary airfield like Indian Springs spend so much to build housing? Charles Hall reports that the Air Force provided Tall Whites with excavated living quarters and a large hangar that housed the 350 foot-long interstellar craft used to ferry Tall Whites between their place of origin and the Indian Springs base. Hall was never told where Tall Whites came from, originally, but he heard that they may have an outpost near the star Arcturus. Hall says the Tall Whites were coldly business-like and prone to violence when they felt threatened. They carried pencil-shaped devices with various settings that could be used to stun, cause pain, or kill a human. The estimated 200-300 Tall Whites on the base were apparently organized in terms of a military hierarchy. The Air Force reportedly allowed Tall Whites to kill enlisted airmen who frightened them, even though enlisted men weren’t briefed about the presence of Tall Whites on the range. Worse yet was the behavior of a Tall White who was reportedly climbing the steps of a government building in Washington DC to meet with a presumably limited number of US legislators. Hall said a CIA guard tried to help a Tall White female up the stairs at the Congressional building, but the guard accidentally hurt the Tall White female, who threatened the CIA guard and he had to beg her to spare his life. The female reportedly threatened to kill him with a pencil-like device, right there, on the stairs. The Tall Whites’ arrogance mirrors the behavior of Tall Grays that human abductees have seen ordering shorter Grays around on alien spacecraft. For that reason, some analysts suspect that Tall Whites are affiliated with the Gray alignment. Hall is certain that ranking Air Force brass provided support for the Tall Whites. A four star Air Force general from the Pentagon regularly met with and gave the Tall Whites whatever they needed, apparently in exchange for limited technological help. Hall saw Air Force generals return from distant, hours-long trips with Tall Whites on their antigravity craft. But who are the Tall Whites and where did they come from - what are their origins? Hall suggests that Air Force generals thought the Tall Whites were near-enemies of the Grays. But what is Hall’s basis for that assumption? Like the Roswell aliens, Tall Whites look too much like humans. They appear to be a genetically designed hybrid race placed here for a particular reason. Hall even says he saw a Tall White who wore sunglasses and was able to mix in with a Nevada casino crowd. At present, the human catalogue of aliens shows that aliens evolve from different animal species on planets of different sizes under varying conditions. 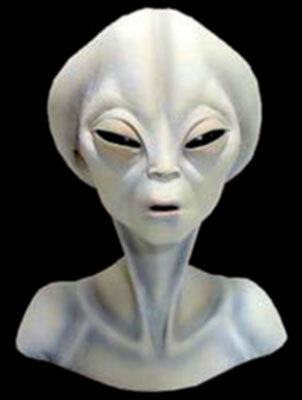 Aliens reportedly tend to be bipedal but have varying skin color, eye shape, skin characteristics and numbers of fingers. In other words, they look very alien. 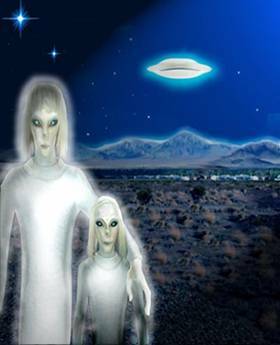 So, Tall Whites, who have no independent story about their evolution, may have been created by a group of aliens that took humans from this planet, then hybridized them to create a headstrong, Tall White version. The Roswell Grays’ alignment has the strongest motives for having created Tall Whites. The fact that Tall Whites sometimes treat humans like cattle and try to train humans to be fearful and submissive further suggests that Tall Whites may be a creation of the Grays’ alignment, which reportedly has a long history of human abductions. Gray alignment aliens may think that they can dribble their technology into human hands, then foster a secretive regime devoted to protecting that technology, irrespective of the human cost. In sum, in 1954 - just one year after the Rockefeller coup, Tall Whites may have begun to trade aviation technology to Rockefeller-related aviation interests, technology that went to a newly separate Air Force. Tall Whites were allowed a base on US soil under what appear to have been false pretenses: they pretended to be anti-Gray. And if that’s the case, then Tall Whites may be a prong of the Gray alignment that was used to gain the confidence of, then deeper penetration into, US defense circles. It was a step that was unprecedented in human history. In a matter of months, US presidents had been removed from direct, full control of alien-related programs, a law had been created to harshly prosecute anyone who might tell a president about such programs, and finally, aliens were reportedly being based on US soil. Col. Corso’s writings suggest that the Army was leery of such arrangements. In other words, US officials feared what might happen if the Gray alignment made itself known before the public was adequately informed about aliens. Were US officials worried about public fear, or public affinity for such aliens? Readers should remember that aliens outside of the Grays’ alignment have largely refrained from open intervention here. Corso’s statement doesn’t mean that US officials think all aliens have designs on this planet. In short, in early US policy and in future human-alien relations, a distinction must be made between issues involving the Roswell Grays’ alignment and policy regarding other aliens. The crash at Roswell alerted humans to a direct intervention, here, by what journalist Phillip Krapf alleges are self-described alien colonizers. Although we have a lot to learn from aliens, when it comes to infiltration and manipulation of human affairs we need to be careful. So the question must be raised: do such colonizers prioritize their resource needs over the ecology of target planets? If, as science suggests, the universe contains many intelligent populations, wouldn’t competing aliens respond to the intervention, here, of a materially motivated Gray alignment? 1 Col. Philip Corso’s book The Day After Roswell was the first insider account to be published about the Roswell crash. Numerous direct witnesses have corroborated Corso’s story about the incident. Other whistleblowers claim to have seen official briefing papers that mention the Roswell crash. 2 Philip J. Corso, The Day After Roswell, 13-17,22,32,192. 3 Philip J. Corso, The Day After Roswell, 59. 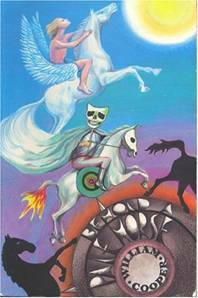 4 William Cooper, Behold a Pale Horse, 207-210. Michael Salla’a book Exopolitics best summarizes what happened, p. 67-74. See also, Gen. Steven Lovekin’s testimony in Steven Greer’s book Disclosure, p. 235. 5 Philip J. Corso, The Day After Roswell, 4. 6 Philip J. Corso, The Day After Roswell, 72. 9 Philip J. Corso, The Day After Roswell, 110. 11 See note 4 above. 12 Michael Salla, Exopolitics, 71. 13 See Gen. Lovekin’s statement in Steven Greer, Disclosure, 235. 14 Peter Collier and David Horowitz, The Rockefellers, p. 271-4. 15 See Michael Salla, Eisenhower’s Meeting with Extraterrestrials; the Fiftieth Anniversary of First Contact? 16 Charles Hall, Millennial Hospitality Vol. 1, 236. See also: Michael Salla’s Interview with Charles Hall, Dec. 2, 2004. 20 Clark McClelland, Stargate Chronicles 2008 statement. 21 Some of the sources on this subject are controversial. Michael Wolf reported that Grays gave at least two disks and some rare element fuel to power them. Bob Lazar claims to have seen a report about the fuel, also. However, those items would only have been given to the US after the Rockefeller coup and after, as William Cooper reported, the US government had retrieved a number of alien disks downed by the use of high power radar and other means. Gray alignment cession of such technology suggests possible desperation or fear about their intervention being thwarted by human possession of advanced technology. 22 See William Cooper’s report of a 1953 competition between human-looking aliens and Gray-variety aliens to meet with US officials. 23 Like Rockefellers, DuPont family interests did big business with the Nazis. DuPont Chemical did a monopoly patents exchange with IG Farben, which made the gas used to kill Jews in concentration camps, while DuPont-owned Opel built troop carriers for the Nazis. DuPont-owned United Fruit featured heavily in the activities of JFK assassination suspects. See Gerard Colby, Du Pont Dynasty. CSETI witness Don Phillips, who worked for Lockheed at the Skunkworks, said the DuPont corporation worked on downed alien technology. See Phillips’ testimony in Steven Greer’s book Disclosure, p. 382. The Rockefeller Foundation funded Josef Mengele’s boss’ eugenics research during the 1930’s. 24 See Cooper’s report. Sgt. Charles L. Suggs, the son of a Navy Commander, alleged that circa that same time period Eisenhower also met with human-looking aliens on a US base. From William Hamilton notes from a 1991 interview with Suggs’ son Sgt Charles Suggs Jr.
25 See Don Phillips’ testimony in Steven Greer’s book Disclosure, p. 379. 27 See the works of John Mack, David Jacobs, Budd Hopkins, and Karla Turner, among others. 31 Michael Salla ‘Tall White’ Extraterrestrials, Dec. 2004. 32 Gary Zeitlin interview with Charles Hall, May 2005. 33 Charles Hall, personal email to the author 3-13-09. 34 Edgar Rothschild Fouche, Alien Rapture, 95. Charles Hall said Tall White aliens gave nuclear thrusters to the US Air Force for use on flight craft. 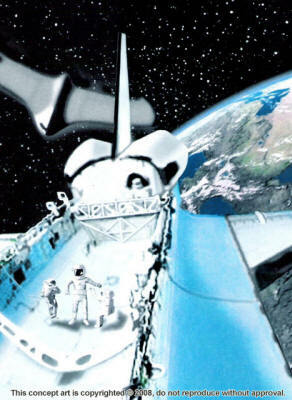 See Michael Salla’s Dec. 2004 ‘Tall White’ Extraterrestrials. Hall says Tall Whites gave the US Air Force hints about new technology but gave it no antigravity technology. According to Edgar Fouche, what may be the Tall Whites’ version of quasi-crystal overunity drive was only known to black budget researchers after 1984. 1984 was the year physicist Mark Comings says he first did his quasi-crystal (barium titanate) overunity experiment in Lawrence Berkeley labs. Apollo scientist David Adair said he saw a similar crystal in a bus-sized alien reactor in an underground Nellis Air Force base hangar when he was 17 years old. 35 Personal email to the author by Las Vegas-based source (details available on request). 36 Philip Corso, The Day After Roswell, 268, 259. 37 See Phillip Krapf’s books and other accounts about the Grays. Most detailed reports on the Grays indicate that the Grays’ original home planet was rendered uninhabitable by a misuse of energy technology. 38 See Stefan Denaerde’s story about a planet called Iarga, Alec Newald’s book Coevolution, Jim Marr’s story about military remote viewers in his book Alien Agenda, Marshal Vian Summers’ two Allies of Humanity books, and my ebook Alien Mind. After the US military concluded that the aliens probably had some human genetic composition in them, US officials scrambled to develop safeguards against a stealth intervention on this planet by aliens of unknown origin. The intrusion of aliens with advanced technology and capabilities occurred at the outset of the Cold War, which compelled Truman’s government to guard information about aliens as a military secret. For over four years, Truman had direct control of the US government’s alien-related programs. However, in 1953 President Eisenhower let Nelson Rockefeller re-design executive security structures. Rockefeller ended elected official control of alien-related programs, a move that Eisenhower later regretted. Multiple former official witnesses say that within months, aliens were allowed basing rights on the Nellis Air Force range. Subsequent secrecy of alien-related programs allowed crime to proliferate within them, unchecked by rigorous public oversight. As a result, early human relations with aliens were largely determined by the Roswell Grays’ alignment of aliens, rather than humans. Questions were raised about the intentions and material ambitions of such aliens. Under the circumstances, the situation could only be corrected through exposure and independent human investigation of aliens and alien interactions. In his farewell speech, President Eisenhower may have alluded to the threat that the Rockefeller coup posed to humankind. His successor John Kennedy reportedly tried to reassert presidential authority over secret programs but Kennedy was murdered, which deepened the coup and caused later presidents to fear the secret programs, also. A friend of Jimmy Carter told CSETI Director Dr. Steven Greer that when Carter asked outgoing CIA director George Bush Sr. about alien-related programs, Bush wouldn’t give Carter any information. Bush Sr.’s Pennzoil corporation was partly bought from the Rockefellers. William Cooper said that George Bush served on the MJ-12 council and was later assigned a prime, covert role in narcotics importation.40 Numerous whistleblowers who’ve spoken about Bush Sr.’s CIA work and his bizarre invasion of Panama to get Manuel Noriega, a CIA narco-agent, point to Bush Sr.’s narcotics role. In other words, Clinton might be murdered. Later, in April of 1996 Greer’s CSETI was scheduled to meet with former CIA director William Colby, who reportedly said he wanted to give CSETI materials to make sure CSETI had hard evidence and documents for its disclosure effort. Not only did the coup of 1953 place potentially dangerous alien technology in the hands of the Rockefeller faction, which had done heavy business with Nazis and was later implicated in crimes against humanity, it led to an effectively uncontrollable alien presence on US soil. Thereafter, US presidents were removed from their constitutional role and were threatened with death if they tried to reverse the Rockefeller coup. But how could a relatively small group of Rockefeller cohorts run a crime empire within the government of a democratic nation founded on a revolution? 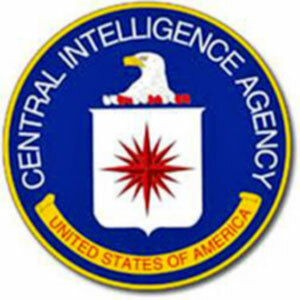 As Michael Salla points out, the CIA Act of 1949 allowed the CIA to secretly take funds from other US government agencies and then spend them without regard to law about their use. Salla and others estimate that up to $1 trillion in officially unaccounted-for funds are cycled through the CIA yearly, apart from its much smaller, less-than $10 billion budget.44 That appears to have been the mistake that stalled future evolution of US democracy and allowed a small group of financial gangsters to run an empire of narcotics crimes, murder, and theft of government materials within the US government, unknown to the people of the nation. Bush’s I and II may have worked to augment the criminal refuge provided by the CIA Act of 1949. Their executive orders, along with both the Patriot and the Homeland Security acts, may provide further loopholes for sustaining such crime. The Rockefeller coup led to crimes within a privatized sub-regime that reportedly fabricated “scalar” electromagnetic technology that could, conceivably, be used to threaten destruction of this planet if it doesn’t follow the plan of an occupation-phase sub-regime. That 2000 killed is roughly half the number of revolutionaries killed in battle during the American Revolution. Even if we allow for inaccuracy in some of the sources noted above, we see a general pattern. The Roswell crash precipitated a military research program that was intended to help defend against potentially dangerous alien designs on this planet. However, the superior maneuverability and capacities of alien craft and genetic sciences allowed the Roswell gray aliens’ alignment to use subordinate groups (gray varieties, Tall Whites, and possible late-stage hybrids who look nearly human) to both approach and infiltrate human society, probably beginning years before the Roswell crash. Compared to such aliens, humans lived in a kind of flatland and knew little about life and resource strategies beyond their one small planet. Consequently, early human defense against gray alignment intervention was thwarted and then essentially turned against the US government via the Rockefeller coup of 1953. Subsequent secrecy forestalled a public response to the situation, and part of the US military was compromised by a trickle of alien technology into its hands, which strengthened the hand of the coup faction. That posed a major problem for humankind. A supposedly equalitarian alien colonizer was effectively using elite human actors to frustrate independent human sovereignty. In order to deepen their leverage within human society, they worked against a more decent, equal human order. Apparently, the policy was rationalized as though the ends justify the means, a kind of winner-takes-all approach. The manipulation of human conflicts set the stage for an allegedly self-described colonizer to intercede, then lay claim to planets in several nearby star systems. The general outline of the evidence suggests that the plan was to wear down human resistance in order to maximize conformity and industrial productivity among a human worker population, which might then be tasked by the colonizer. That, in turn, suggests that the early historical origins of the gray alignment may have been cruder than human officials suspected from 1954 through the mid-1960’s (and later) when Clifford Stone saw a gray alien working in a US base somewhere not far from the nation’s capital. Dozens of US guards were reportedly killed in the incident. Further complicating the situation are fairly innocent humans who assume that the relative backwardness of human regimes means that all alien contact is good for humankind. Awed by aliens who use mind-activated, mind-reading technology, some contactees want to think that aliens who travel between stars using advanced technology can do no wrong. It’s easy to see how they might think that. First contact can overwhelm a person, especially if leads to new and unexpected insights. As a result, some contactees see altruistic, if not angelic motives in gray alignment actions here. More problematic is a US Air Force faction that thinks joint work with an alien colonizer is okay, for now, as long as we can learn more about alien technology. In sum, early direct contact led to conflict that was easily manipulated to a reported colonizer’s advantage. At the time, Cold War bipolar relations stalled public disclosure about aliens. Ironically, US government secrecy, coupled with alien stealth and advanced technology, allowed aliens of the Roswell grays’ alignment to more easily control the scope and disposition of human-alien relations. As a result, there was public confusion about both the nature and the intentions of aliens. 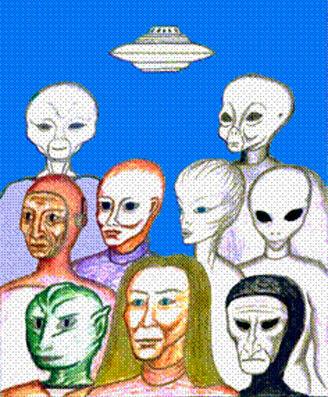 Rather than discuss the larger universal variety of extraterrestrials, human discourse tended to degrade into debate about one very distant group of aliens - the Roswell grays’ alignment. Despite abundant data about other, competing aliens, public analysis was flagging. People didn’t see far enough, clearly enough, to get a good overview. After the Cold War ended and humankind still wasn’t ready to submit to an aggressive alien intervention, the Rockefeller-Bush faction and its cohorts plowed the West into perpetual war against an ambiguous “terrorist” enemy that was financed by the Saud family, close Rockefeller and Bush family cronies. By then, disclosure about aliens was long overdue. However, now that old regime mainstays David Rockefeller and Bush Sr. are both aged and essentially non-competent, the Rockefeller-Bush faction lacks strong leadership. A closely allied Goldman-neocon group may want to continue in their stead but was partly discredited by Bush Jr.’s failed presidency. Meanwhile, an aviation industry stronghold among DuPont family interests remains closely aligned with the 1953 coup plotters and has long used men like Bush Sr. to do its dirty work. However, with DuPont-owned GM now failing along with other DuPont holdings, that part of the old regime is also in crisis. As a result, public impatience with the collapse of the old financial order makes the situation ripe for a much-needed reordering of human-alien relations. Rather than passively submit to the first alien group that chose to intervene in human affairs, we can actively debate the wider variety of alternatives available to us. In order to do so, we must expand and refine both the scope and the nature of our analysis. For that reason, we need to know where we live in relation to the universe’s population centers. The universe contains billions of galaxies grouped into a vast, intertwining variety of different galaxy superclusters. As any astronomer can tell you, if there are prevailing social norms and considerations among aliens, they’ll be defined by interactions that occur in superclusters, each of which contains thousands of different galaxies. Most aliens probably reside in galaxy superclusters, which contain most of the galaxies of the visible universe. Our galaxy, the Milky Way, is far out on the edge of a medium-small supercluster (Virgo) that includes about 2000 galaxies. 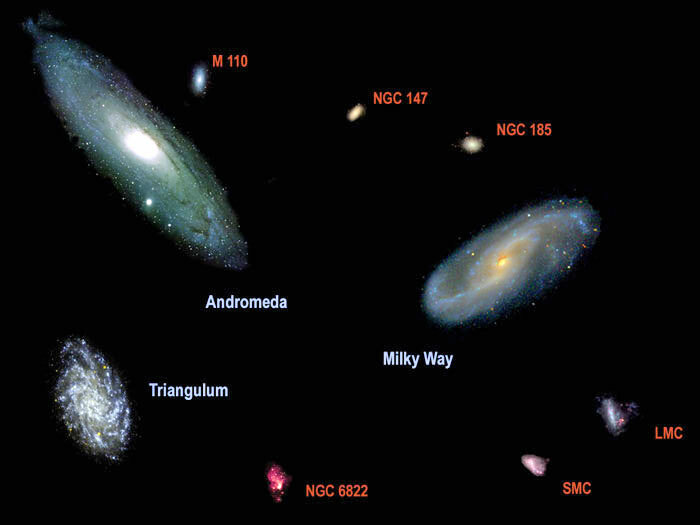 To see where we live in relation to other galaxies, see the website atlasoftheuniverse.com. Recent estimates suggest that many trillions of different intelligent populations may live throughout the cosmos. In other words, there is diversity among aliens. No single regime could encompass the entirety, which means that cooperation among aliens is likely based on joint resource considerations or a shared energy ecology. Logic and some preliminary data suggest that social dynamics lead to different kinds of alien interactions: large, mega-populations of various sorts counterbalanced by smaller trading groups and independents. Clearly, not all aliens are aggressive colonizers. To adequately assess the exopolitical circumstance in which we live, we need to look at the ecological and trade implications of our large-scale, intergalactic neighborhood. As Alfred Webre has suggested, pre-existing interactions between aliens in our vicinity may determine the context of our future relations with other worlds. Intergalactic dynamics of the sort may seem faceless and distant to some readers, yet the aliens that humans have encountered, to date, reportedly speak of intergalactic concerns and interactions. Although the nearest large spiral galaxy, Andromeda, is 2.3 million light years distance away, contactee and whistleblower reports about faster-than-light alien travel suggest that advanced alien technology can cross such distances, given such aliens’ longer lifespans. As a result, only at a galactic level and larger can we begin to identify the trade and ecological codes and conventions that will define our long-term relations with alien neighbors. We need to anticipate such conventions in order to assure our survival in what may be a densely inhabited, competitive environment. Although astronomers say the vast space within galaxies results in relatively few star collisions during such mergers, both galaxies will lose their old shape. Some stars will be flung out of the final merged galaxy, while others will be hurled into the hot region near the merged, single galaxy’s central black hole. Since galaxy mergers displace some planets from a galaxy’s habitable zones, there are exopolitical considerations that begin at the galaxy level yet may only be definitive at a galaxy supercluster level, or larger. At present, there are many galaxy mergers occurring in the Virgo supercluster. All such mergers involve political and ecological considerations, in a larger sense. That raises an important question. Must alien populations battle to claim habitable star systems during galaxy mergers, or do such events proceed in a more orderly, peaceful manner? Although it’s conceivable that vast sums of energy could be expended to artificially shield a planet from the inhospitable radiation of some post-merger environments, such energy use could tax the energy ecology of the merging galaxies’ more advanced populations. Worse yet, the merger of two super-massive black holes during a galaxy merger could be one of the most explosive events yet observed in the universe (no human has observed such an event, yet). Afterwards, two vast jets of hot material billow out along both poles of the resulting galaxy’s massive, central black hole. 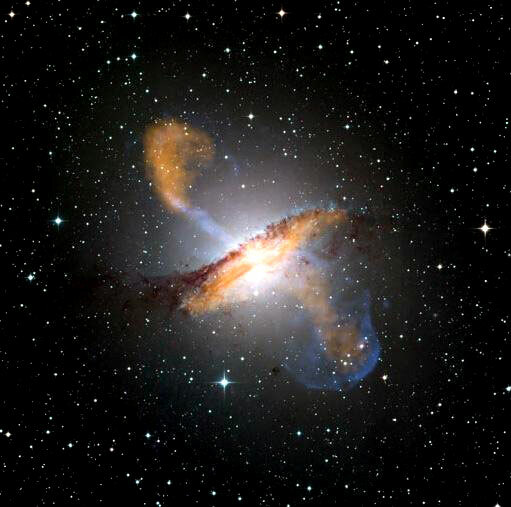 Color composite image of Centaurus A, revealing the lobes and jets emanating from the active galaxy’s central black hole. This is a composite of images obtained with three instruments, operating at very different wavelengths. The 870-micron submillimetre data, from LABOCA on APEX, are shown in orange. X-ray data from the Chandra X-ray Observatory are shown in blue. show the background stars and the galaxy’s characteristic dust lane in close to "true colour". 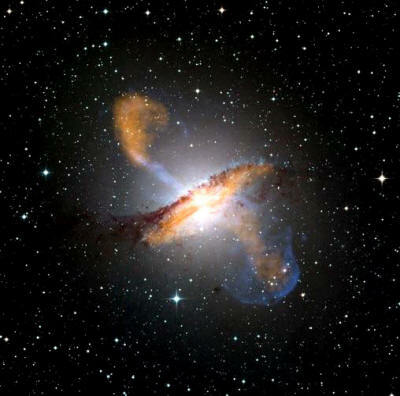 So, when two merging galaxies’ populations face stark alteration of their living circumstances, some may seek refuge in previously unclaimed star systems or in other, surrounding galaxies that aren’t challenged by the merger. Among older alien populations capable of long-distance travel, such events would be a major concern. Since large-scale crises of the sort have been ongoing for at least billions of years, at a minimum, there should, by now, be conventions regarding population ecology on a galactic scale, and larger. However, we can’t safely assume that major alien populations who tend to such events will always treat affected populations in a way that is warmly and fully accommodating. And how might that affect us, here in the Milky Way? We face certain merger with Andromeda, which means that the major alien populations, or combination of populations, in our vicinity and in Andromeda may do everything they can to avoid excess population growth in our two galaxies. For that reason, the populations of both galaxies are probably wary of the incursion, here, of colonizers from a distant galaxy. In other words, some of the more definitive exopolitical considerations among aliens who visit here will have been conditioned by pre-existing, large-scale conventions and behavioral codes that have existed for millions, if not billions of years before us. It would be naïve, if not dangerous to think that we can lurch out with dangerous weapons and do whatever we choose as we explore our interstellar environment. Astronomers’ data, combined with human sightings and contacts with aliens, suggest that a variety of alien populations of different sizes and duration are already either visiting or monitoring this planet. They will judge us in terms of their larger, more complex realm of expectations. When those alien populations mix in our vicinity, the older, more established populations tend to have the most advanced technology, which raises another important issue that we must face. The hyper-advanced technologies of some populations are often neither suitable nor safe for use by less evolved populations. So we can expect to see certain technological safeguards and limitations built into such technologies in order to prevent unwarranted theft or abuse by less evolved aliens. For example, older alien populations may use specially hybridized sub-groups to approach us. The irony, of course, is that although alien communities of long duration probably have the most advanced technology, such societies are sometimes burdened by ancient practices and ideological baggage. Despite their greater grasp of most issues, we may encounter fixed assumptions and a kind of inflexibility among such populations. As a result, it may be easy for some advanced aliens to dismiss many of our current preoccupations as superfluous. Nonetheless, as we expand and refine our understanding of cosmic citizenship the larger conventions that prevail among aliens will soon become apparent. The message in human-alien contacts appears to be that we can determine our choice of relations. We don’t have to submit to the coerced hegemony of a colonizer from a distant galaxy, but can, instead, interact with safer, less domineering alien partners. We can choose a variety of more modest inter-stellar associations initially, while we learn how to be self-sufficient and minimally competent among aliens. To do so requires honest, coherent expose during the current, externally imposed occupation phase, a greater public awareness both of human corruption and the underside of an intervention that has turned that corruption to its advantage. So, now that the principals in the Rockefeller coup of 1953 are mostly dead or non-competent, the challenge for humankind is to defy a relatively tiny Rockefeller, DuPont and related cohort in order to speak the simple truth about aliens and life in an intelligent universe. The first obstacle in most minds is fear. Some think that to speak out could jeopardize anonymous consumer refuge or the comfort of a (now failing) financial mafia dependency. Meanwhile, to hide within such refuge is to perpetuate it and ignore the more mature, refined solutions that aliens pose and may be willing to share with us. The question of human sexuality compared to more ecological, less territorial alien versions of cloning. The need to do selective genetic engineering was reportedly part of the reason for “gray” aliens’ change to a non-sexual status, yet the change may also have been determined by the way that pre-existing alien mega-populations regard sexually reproducing alien proliferation on a galactic scale, and larger. The question of whether the alien version of energy from the vacuum is “free” and unlimited or is, instead, subject to larger conservations relating to a slight speeding of time (and energy use) that’s noted in the writings of scalar energy theorist Tom Bearden. The question of whether or not newly evolved populations must be introduced to alien norms, despite the risks involved. The human notion of individual identity as contrasted with aliens’ more evolved versions of social identity and community of mind. After investigating the alien crew that crashed near Roswell in 1947, the US government devised new security structures in response to what appeared to have been an alien intervention into human affairs. However, the secrecy of the CIA, the NSA, and alien-related programs allowed proliferation, therein, of corruption without minimum, adequate oversight. The situation worsened when the Rockefeller coup of 1953 ended elected official control of the US government’s alien-related programs, allowing a coterie of private interests to steal control of publicly-gained technologies and then threaten elected officials who hoped to correct the situation. The US government had reverted to a pre-revolutionary form that was, in some ways, worse than the old British monarchy. Former-official whistleblowers allege that the Rockefeller coup led to an occupation phase, which could, conceivably, jeopardize human self-determination and some of our solar system’s basic resources. In order to reverse the Rockefeller coup and open alien-related issues up for more honest human analysis, rigorous expose is needed, along with active discussion and exploration of contacts with our long-term, native alien neighbors. By placing such matters in the context of alien relations on a galactic scale and larger, we may be able to see past an early intervention in human affairs by what a number of well-ordered human reports suggest may be an alien colonizer from a distant galaxy. 39 Steven Greer, Hidden Truth, 123. 40 See William Cooper speech online. Numerous other whistleblowers corroborate George Bush’s direct role in narcotics importation. 42 Steven Greer, Hidden Truth, 156. 43 William Cooper, 1989 MUFON speech. 44 Michael Salla, Exposing U.S. Government Policies on Extraterrestrial Life, 113-114. 45 Cathy O’Brien, Access Denied, 168. Benjamin Fulford interview online. 46 Steven Greer, Disclosure, 268. 47 See Wolf’s story. Wolf also mentions the incident in his book The Catchers of Heaven, p. 28. Stone’s version is from a personal communication from a former Army intelligence officer who was briefed by Stone. William Cooper mentioned the incident in a speech, and Bob Lazar said he saw info about the firefight in a briefing document during his work at S-4. In my article in Salla's Exopolitics Journal ("Determining Human Relations with Extraterrestrials") I made an error in a footnote. I wrongly said barium titanate is a quasicrystal. It's actually a metamaterial. However, Fouche does say quasicrystals are used by black budget researchers for exotic flight and communications purposes. "In the mess hall at Groom... I was told that quasi crystals were the key to a whole new field of propulsion and communication technologies." So, Comings worked with a crystal of barium titanate, which IS composed of two metals and does apparently have a dual kind of resonance. "The unexpected happens when you shine laser light into a crystal of barium titanate. At first, the beam passes right through the material. But within seconds, a second beam emerges from the crystal, heading straight back into the incoming beam and rapidly growing in strength." (USC did an experiment on this in 1994, ten years after Comings' discovery, by the way). "In 1984 a paper was published which marked the discovery of quasi crystals - Two distinctly different metallic crystals joined symmetrically together." That is a partial description of quasicrystals but barium titanate is BaTiO3, so it includes oxygen also and is a metamaterial, not a quasicrystal. The recent 2011 Nobel for discovery of quasicrystals notes that they have a strange five-fold symmetry (which means that if you rotate them 1/5 of a turn, they show a symmetry (which was previously thought impossible). Comings isn't the only researcher to achieve overunity (more energy out of a system than goes in - essentially teasing energy out of empty space).